In what is apparently an annual tradition, Warner Bros. has announced that it is still developing a new big-screen Scooby-Doo movie. The studio first brought this up back in 2013, when it announced that it was working on a totally animated reboot of the Scooby-Doo series. Then, last year, Warner Bros. basically reiterated that same idea, which allowed us to make a joke about Michael B. Jordan playing Shaggy (timely even then) and Scooby being replaced by an advanced artificial intelligence. Now, Warner Bros. has announced some actual concrete plans regarding a new Scooby-Doo movie, so maybe next year it can reveal a reboot of Jabberjaw or Speed Buggy. Deadline says the new Scooby-Doo will indeed be animated, and it’s going to be directed by longtime animation veteran Tony Cervone—he worked on Space Jam, which is either really good news or really bad news, depending on how old you are. The script will be written by Matt Lieberman, who was already attached back in 2013, so it sounds like this has really been in development for these last few years. Interestingly, this news comes only a few months after the Boomerang network announced plans to air a new Scooby-Doo TV show. 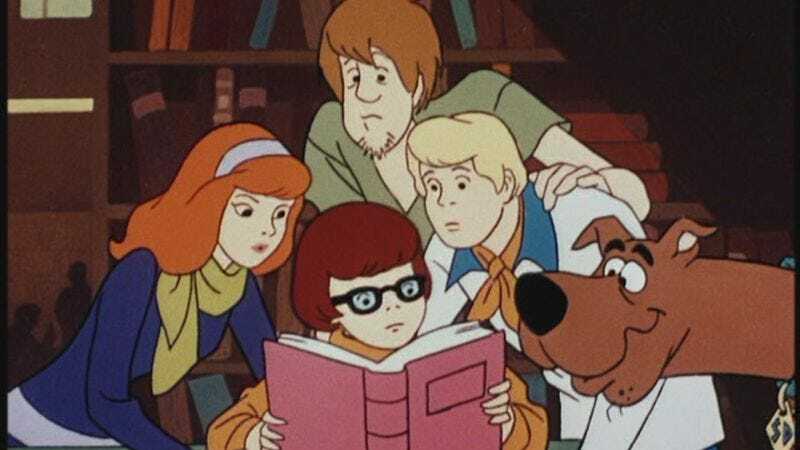 Maybe that means the show and the movie will be connected as part of a Scooby-Doo Cinematic Universe? We can only hope.